Reference Stress Methods are a mature technique that offers a simplified way of identifying the critical areas of stress in mechanical or structural components. It is an approach that is more intuitive and less sensitive to the details of material properties than the more complex and detailed full FEA/FEM procedures. Some of the best structural/stress specialists have contributed to this book, making it of special interest to professional and academic engineers concerned with structural integrity, stress, inspection, and failure analysis. Civil engineers will also be keen to find out more about this method, as will those investigating engineering accidents. Dr Ian Woodall is a member and currently Vice-Chairman of the IMechE Structural Technology and Materials Group. After over 30 years in the nuclear industry involved in structural integrity and other related safety matters, he is now a Consultant Engineer. 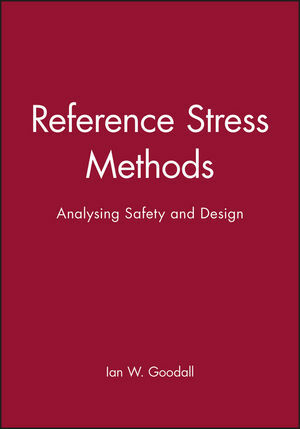 Ian W. Goodall is the author of Reference Stress Methods: Analysing Safety and Design, published by Wiley.